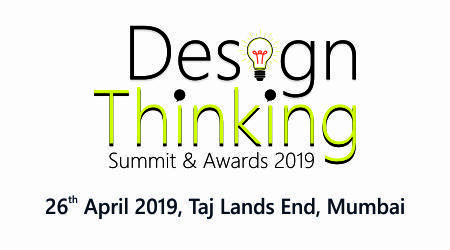 Trivandrum, Kerala ( forpressrelease.com ) April 12, 2019 - It's late evening and the sun is setting in the horizon, but there is a wonderful design unfolding at the bullpen of visualspiders office and designers slug it out on the monitors with unwavering attention to complete the presentation for a client. Watching the designers working is exhilarating. A deep silence precedes every slide they finish. They move the cursor and add a layer of colour over the other and present the PowerPoint presentation with a flourish. From simple PowerPoint presentation design to complex pitch decks, graphic designers at visualspiders show how a good presentation goes a long way for the clients. As a PowerPoint designer who has done more than 2000 presentations in his 10 year career, Harshit realized that clients preferred to hire professional design firms instead of freelancers from portals for reasons of both high quality work and confidentiality. We are a professional design firm with a team of designers who specialize in designing PowerPoint, prezi, video presentations etc. It’s been a 10 year journey so far with team of design enthusiast & entrepreneurs coming together to create Visualspiders. One thing was very clear to us since our inception – enjoy the entire process, while we deliver outstanding experience for our customer. 2. 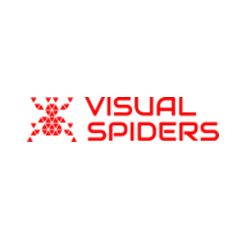 What makes Visualspiders special? This sentence truly defines what we stand for. We operate with 2 basic principles – delight the customers & continuously improve everything we do. We know every firm wants to delight their customers but very few manage to do that. We are proud to be among those few, who delight customers all the time. Our investments in our people’s capabilities, established and continuously evolving processes, strong governance and oversight ensures high-quality service which leads to enhanced customer delight. 3. You have been in this field for 10 years now? What are your strengths and weakness? Expertise, Quality & Pricing is our great strength. Our designers are well experienced. We have a great feedback from our clients. We also have a full-fledged system in place, to ensure that all slides are completely proof checked and reviewed by a separate quality team before they are sent to the client. This does take some additional time, but it’s the best way to make clients feel satisfied about our work. Not to forget, we have the most competitive pricing in the segment for the quality we offer. As far as weakness is concerned, we need to concentrate more on branding and marketing. 4. How is your growth looking ahead? Business professionals are more aware of the importance of visual & digital communication these days and often view them as a deciding factor to close the deal, be it selling a product or communicating an idea etc. When we launched Visualspiders, we thought we’d be helping out the relatively not-so-big consulting & marketing firms with our service, but now we notice that even very big firms prefer to hire design firms like us rather than spending on their in-house design team which helps them in both cost savings as well as administrative work load. We see a good growth in this area. 5. What are your thoughts on PowerPoint Templates? Many business professionals do get corporate templates from sites such as slideceo.com and then re-use the same template for various presentations. It’s an emerging market and has huge potential. That is why, we started slideceo.com, which is a platform to download Professional PowerPoint templates. The site has almost 4000 PowerPoint template slides and plans to add over 10000 templates by the end of 2019. All our slides are completely editable. Customer can do any customization such as changing the color, font, shape, size etc. Visualspiders is a leading Presentation design team involved in providing PowerPoint PowerPoint Presentation design services to clients all across the world. The company has been in the market since 10 years and has worked with several leading consulting firms providing presentation services in PowerPoint, Prezi & videos. From company presentation to sales pitches, the team has designed thousands of presentations.